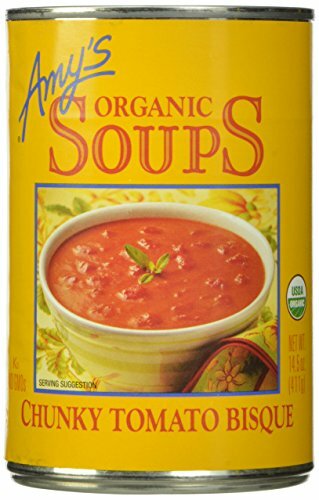 We’ve added tender chunks of organic vine-ripened tomatoes to a smooth, creamy tomato base to create a full-flavored, satisfying bisque you’ll crave. 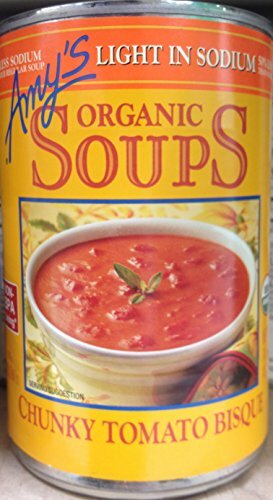 Gluten free/soy free/corn free/tree nut free/kosher (Light in Sodium also available.) To make sure our tomatoes are as fresh as possible, we wait until they reach their peak of sweetness on the vine. Then we harvest as quickly as possible. After the tomatoes are picked, they are canned within six hours so that we can capture them in all of their sweet, flavorful glory. Many food companies store their tomatoes in large barrels to save time. But we refuse to compromise the flavor of our juicy tomatoes. So we spend the time it takes to use small cans, preserving the fresh flavor of each tomato that comes off the vine. GOODNESS IS OUR GUIDING PRINCIPLE. We choose what's best for our customers, our farmers, our employees and our planet. It's a tall order, but we wouldn't have it any other way. We're not in the business of making shareholders happy. In fact, we don't have shareholders. We're in the business of cooking delicious, organic vegetarian meals for everyone. We were organic before it was a national certification. 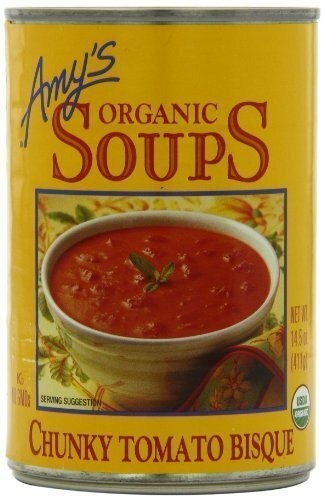 So when the U.S. Department of Agriculture decided to create standards for organic, they looked to us for guidance. Together with other industry leaders, we helped pioneer the organic food industry and, more importantly, we helped make organic food available to more people. All of our dishes are non-GMO and we're a proud supporter of GMO labeling initiatives. Because we believe that people have a right to know what they put in their bodies. We were also the first to market with non-BPA-lined cans, and we're happy to see many other food companies following our lead. 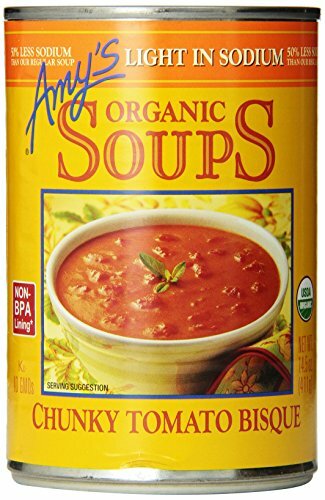 We’ve added tender chunks of organic vine-ripened tomatoes to a smooth, creamy tomato base to create a full-flavored, satisfying bisque you’ll crave. Gluten free/soy free/corn free/tree nut free/kosherTo make sure our tomatoes are as fresh as possible, we wait until they reach their peak of sweetness on the vine. Then we harvest as quickly as possible. After the tomatoes are picked, they are canned within six hours so that we can capture them in all of their sweet, flavorful glory. 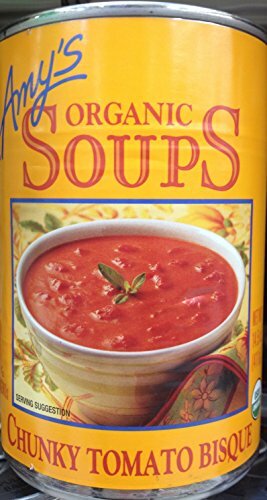 Many food companies store their tomatoes in large barrels to save time. But we refuse to compromise the flavor of our juicy tomatoes. So we spend the time it takes to use small cans, preserving the fresh flavor of each tomato that comes off the vine. 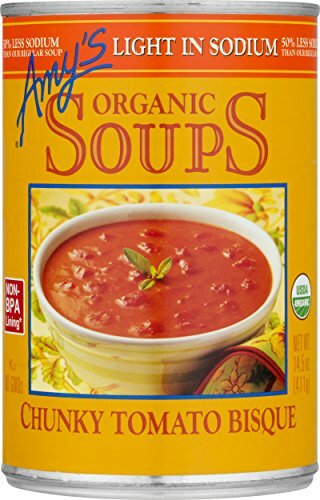 Ingredients: Organic tomato puree, organic diced tomatoes, filtered water, organic cream, organic cane sugar, organic onions, organic black pepper. Contains milk. 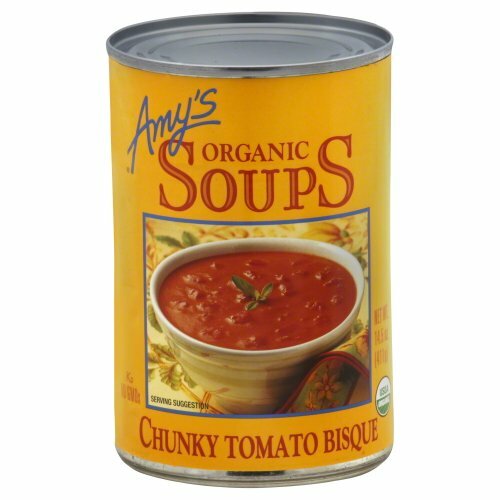 Looking for more Organic Chunky Tomato Bisque similar ideas? Try to explore these searches: Kentucky Wood Frame, Racket Shoes, and Super Swirl Hanging Decor. 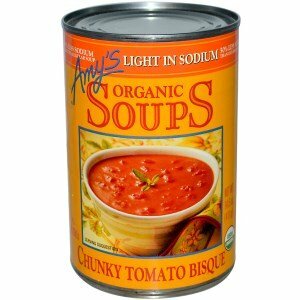 Look at latest related video about Organic Chunky Tomato Bisque. Shopwizion.com is the smartest way for online shopping: compare prices of leading online shops for best deals around the web. 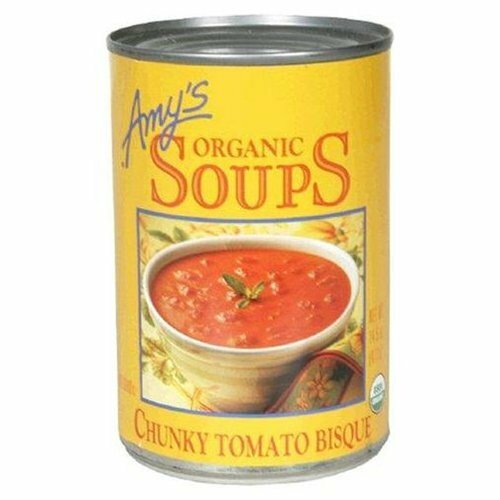 Don't miss TOP Organic Chunky Tomato Bisque deals, updated daily.